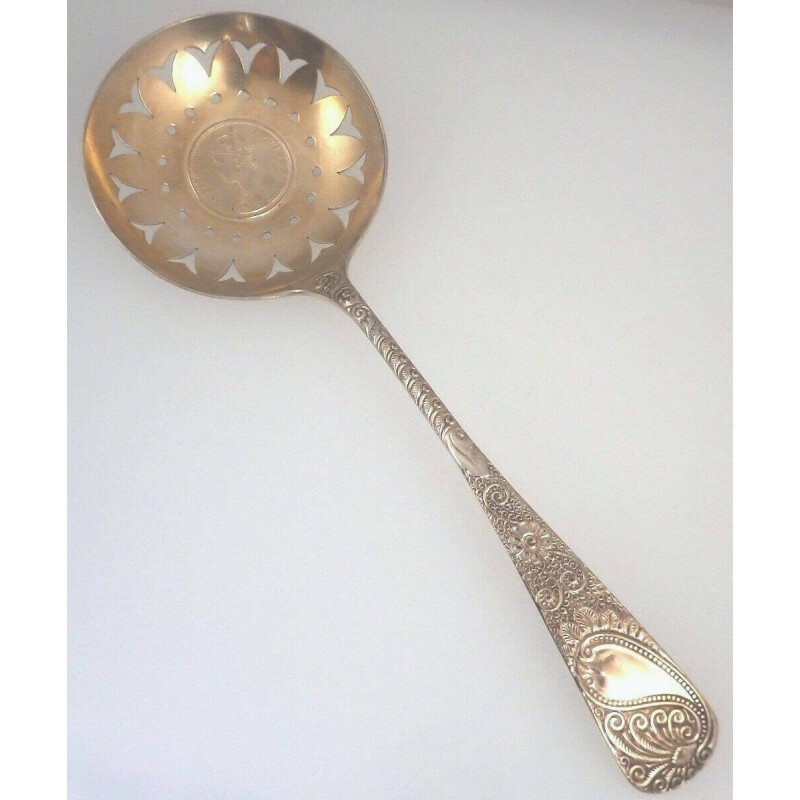 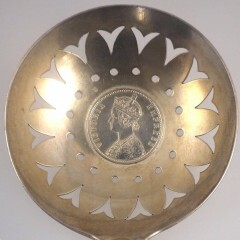 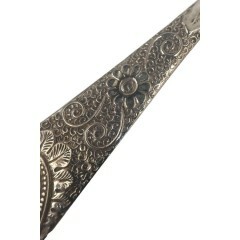 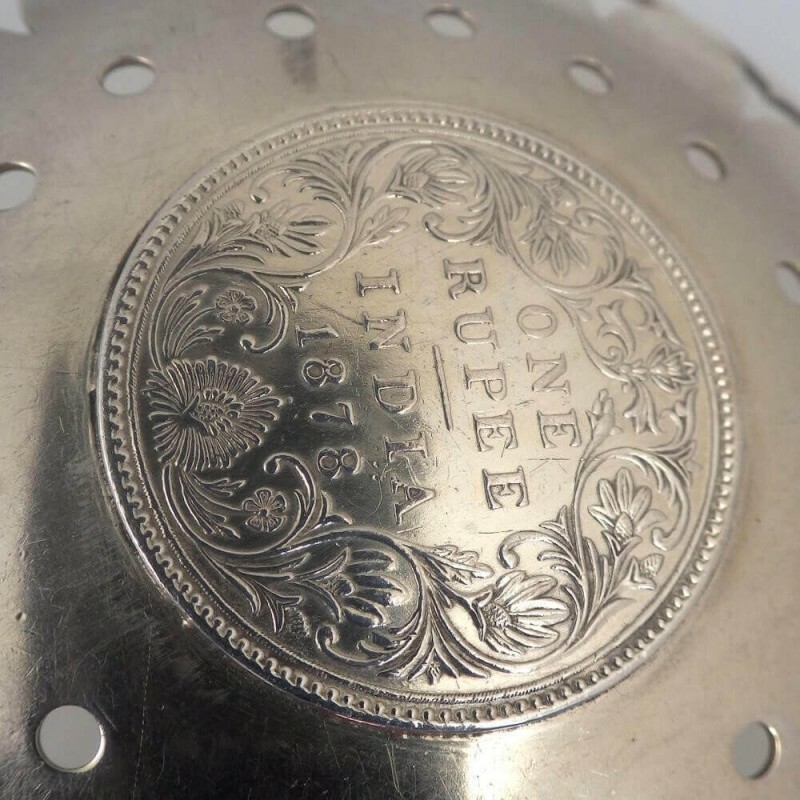 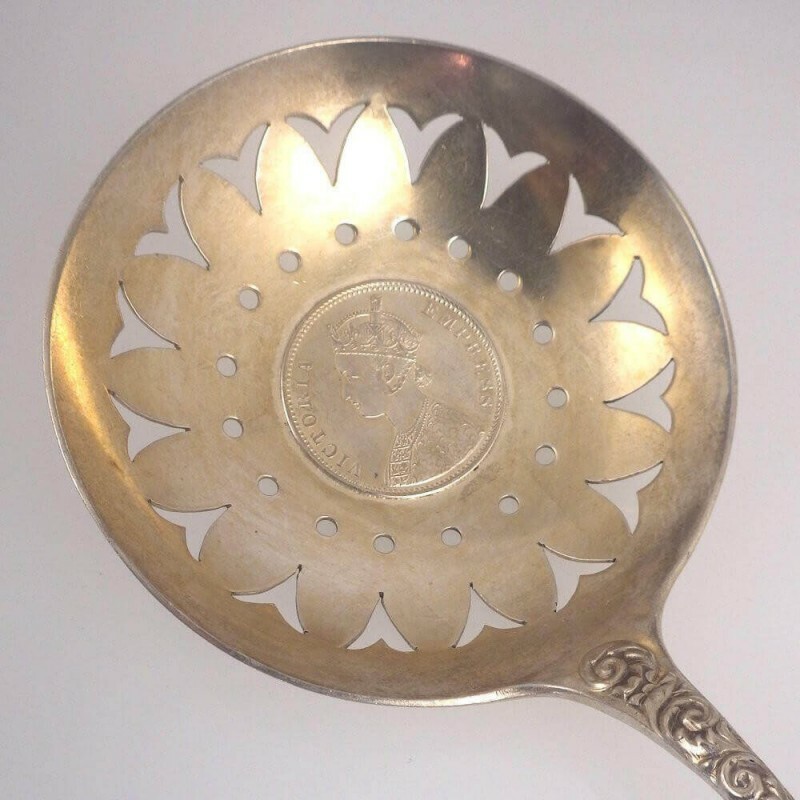 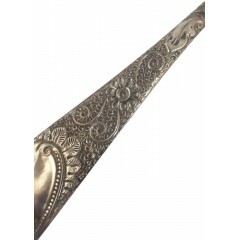 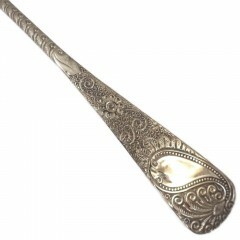 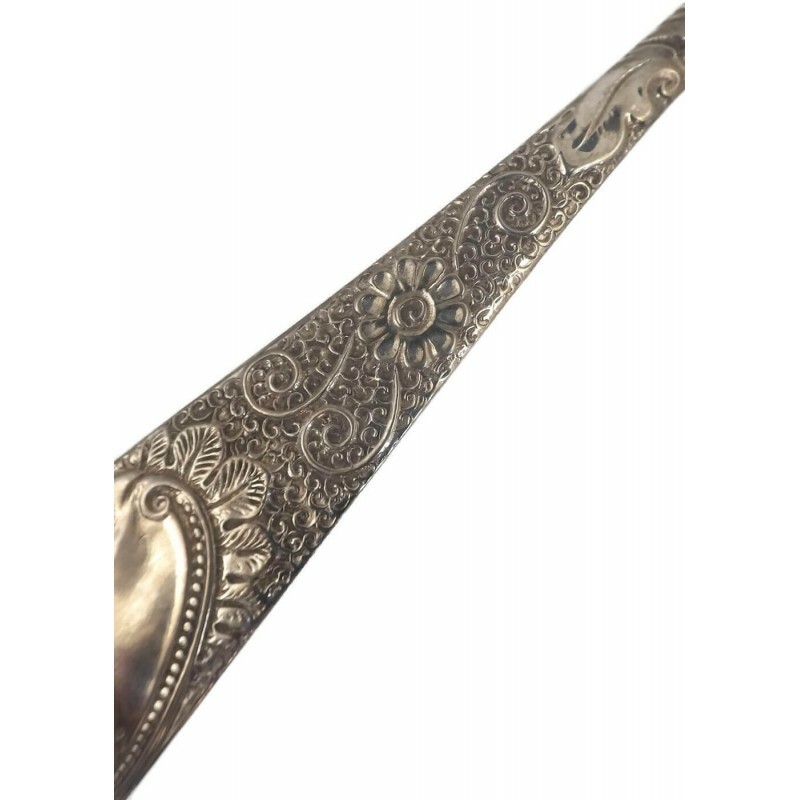 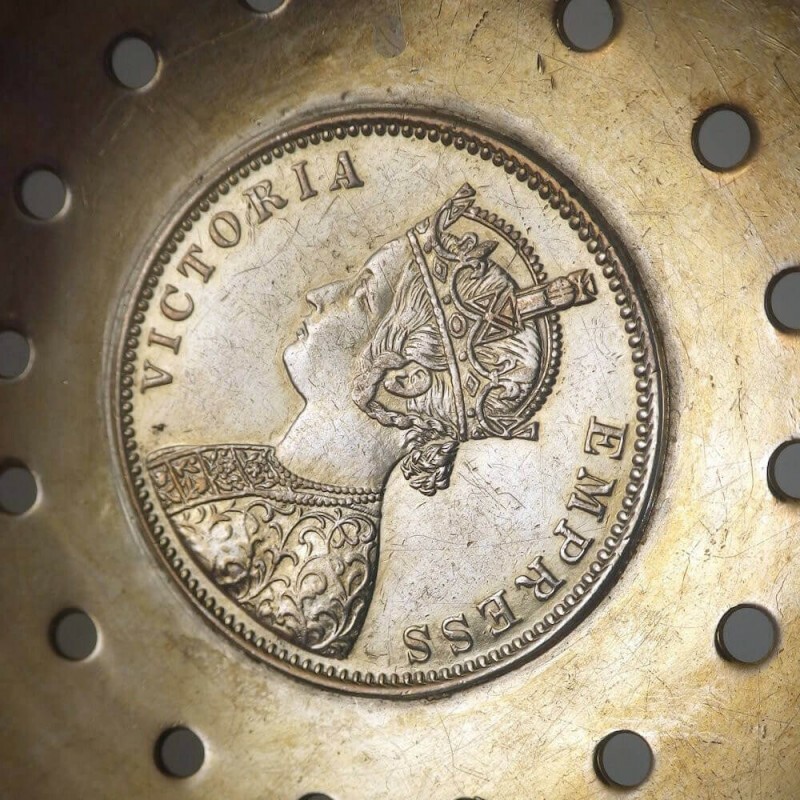 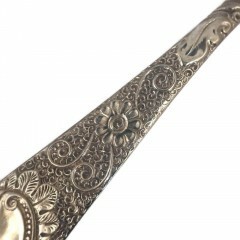 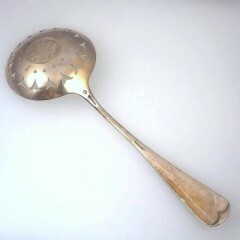 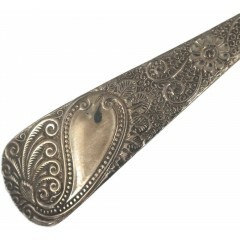 A spectacularly ornate and large antique (late 1800s) Davis & Galt sterling silver pierced / slotted serving spoon in a paisley design, featuring an 1876 British India Victoria Empress rupee coin at the center, with a coin design of A/II 0/1 (Victoria Empress bust design A, reverse design II, and dot pattern 0/1). The hand-cut piercings on the slotted spoon bowl resemble a simplistic V-shaped tulip, with a circle of dots to add to the openwork. Most breathtaking, however, is the silver artistry displayed in the paisley handle, with flowers, scrolls, and the paisley pattern wrapped in acanthus fern — the detail is nothing short of amazing! 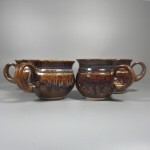 The spoon measures 9-1/2" long, with the bowl at 3-1/4" wide, and (if to be used) would serve peas or other simmered vegetables perfectly. 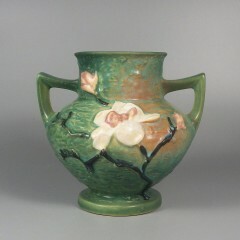 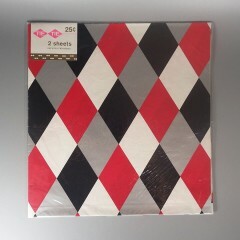 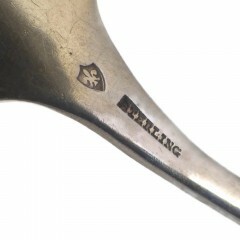 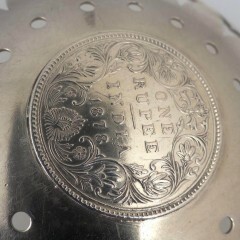 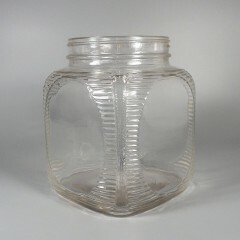 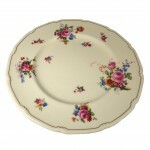 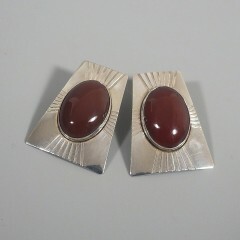 Marked with the Davis & Galt fleur de lis shield hallmark dating to approx. 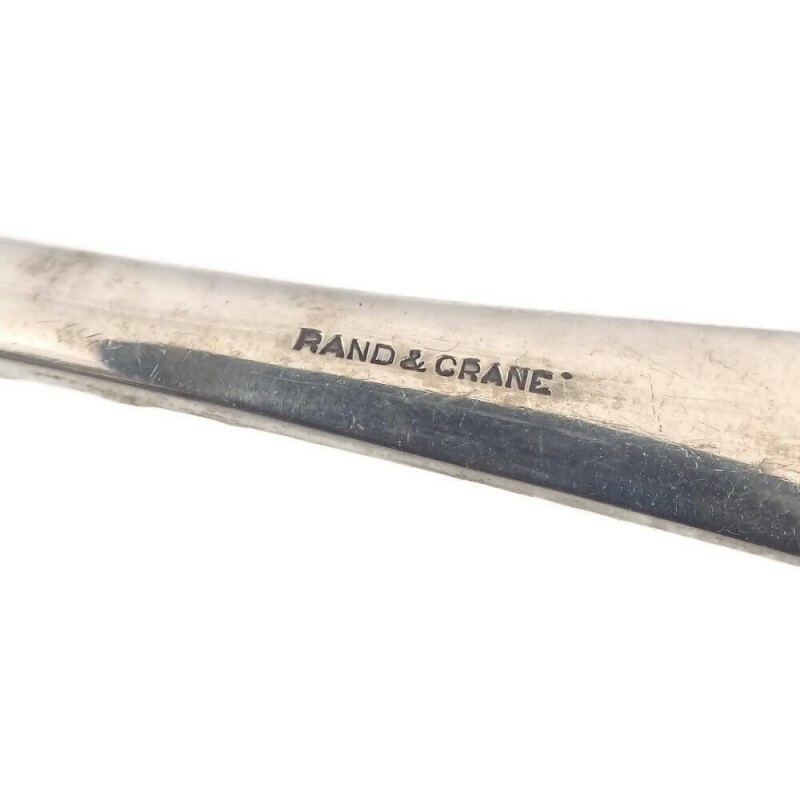 1888 to 1896, and also shows the Rand & Crane retailer name, which was in business in Boston, Massachusetts, from circa 1886 until the 1920s.